All we know Moto 360 has its own wireless charger, but if you want a more stylish option to perfectly match with the smartwatch, you may like to check the Chrono wireless charging station. 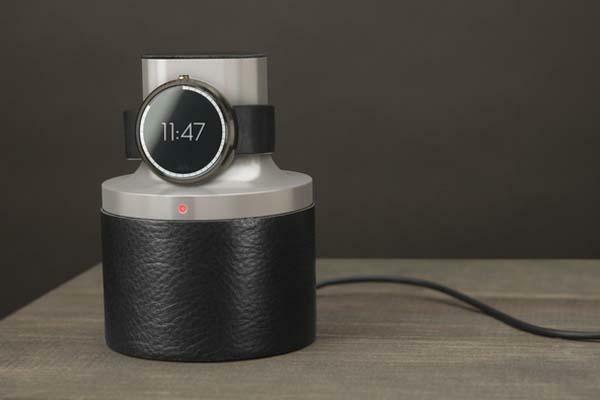 The Chrono is a well-designed wireless charging station and travel case designed for Moto 360. The wireless charger measures 66 x 79mm and shows off a minimalistic and refined design, and its aluminum body and leather grip not only ensure a durable construction, but also delivers enhanced aesthetics and premium feeling. 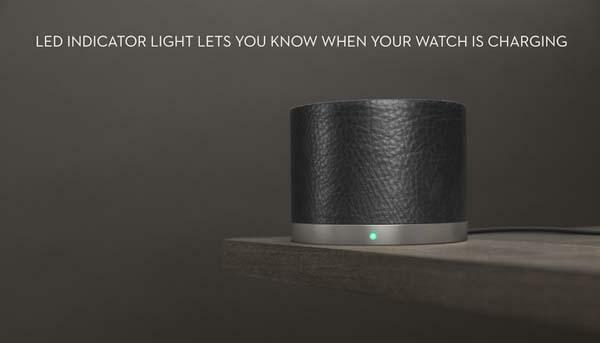 Moreover, a discreet LED indicator lets you know when your smartwatch is fully charged, and the leather cover is closed via magnetic closure, the wireless charger doubles as a travel case to protect your Moto 360. Apart from that, the Chrono also comes with built-in cord storage. 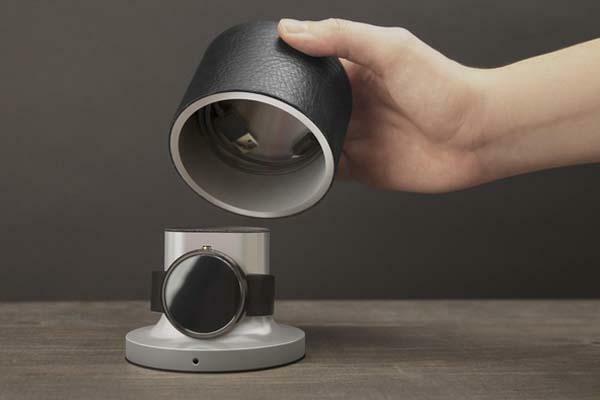 The Chrono charging station for Moto 360 is earning influence via answering pricing questions. If you want it to become reality, head to Quirky and offer your price.